“Welcome to your nightmare.” Scary Terry shows up in the episode “Lawnmower Dog” in the extremely popular television series Rick and Morty. While he may seem like a evil monster, he is a misunderstood and friendly creature that is insecure about his ability to scare people. 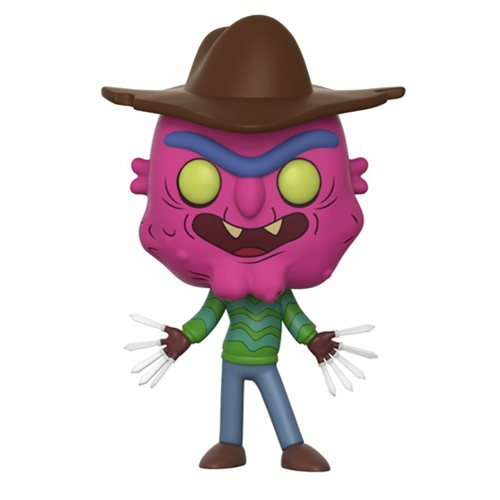 Add this Rick and Morty Scary Terry Pop! Vinyl Figure #300 to your collection, along with all your other favorite characters from the show (sold separately). This Pop! vinyl figure measures approximately 3 3/4-inches tall and comes packaged in a window display box. Ages 3 and up.